This is my annual scarf post. I've updated the photos and re-written it a bit but the info is the same and you need to know it! I find it so important to post this every fall because a scarf is such a fabulous accessory. 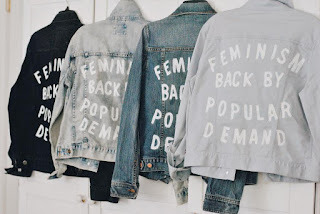 They're inexpensive, they make every outfit, even a T shirt and jeans, look chic and fabulous and they continue to fit in spite of that extra slice of pie. Notice how good celeb's always look in their scarves? How do they tie them like that? Only one way to find out. I had to consult The Teen Fashion Police, (aka fashionloft8), who is the queen when it comes to looking fab in a scarf. 1. The Drape It. That's it, you just drape it, throw it over your neck like you're a hanger. YES, just drape it! And don't forget to be creative and find multiple uses for your favorite scarf like Nicole Riche here using hers as a headband. Some scarves also look great as a belt or sash. 2. The Knot. First do The Drape It then tie a simple knot and let it hang a bit low from your neck. 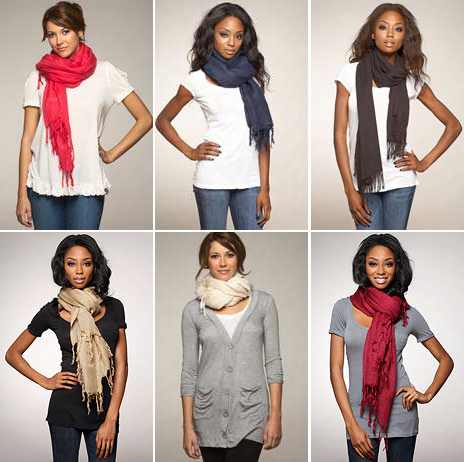 You can tuck under the ends like Jessica Alba or let them hang like Hilary Duff , both are famous for how they wear their scarf -ves. 3. The Backwards Tie. Just place the scarf evenly with the middle against your neck facing backwards, (hence the name), cross it in back and let the ends hang in front and wha-la! A variation on The Backwards Tie is to then tie the ends in a knot in front like Jennifer Aniston. You'll need a long scarf for this to look good. 4. The Button It. Doesn't this look great, and warm too! Fold the scarf in half and wrap it around your neck with both ends to one side and then separate the scarf in the middle and put the ends through. Creates this nice fluffy look. And don't forget the shades darling.